The 8th Session of the Conference of the Parties (COP 8) of UNCCD will be held in Madrid, Spain, from 3 to 14 September 2007. The international community has long recognized that desertification is a major economic, social and environmental problem of concern to many countries in all regions of the world. The United Nations Convention to Combat Desertification (UNCCD) was adopted in June 1994 and entered into force on 26 December 1996. As per April 2004, 191 States or Regional Economic Integration Organisations have ratified the Convention. The Conference of the Parties (COP) is the Convention's supreme governing body and COP sessions are held on a biennial basis. 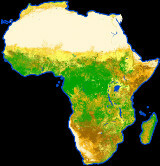 Th 8th session of the Conference of the Parties to the United Nations Convention to Combat Desertification (COP 8) will be held in Madrid, Spain, from 3 to 14 September 2007, at the invitation of the Government of Spain. 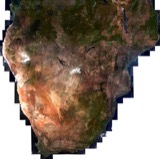 The European Space Agency has been working closely with the UNCCD secretariat for more than five years, developing user-tailored and standardised information services based on satellite observations to assess and monitor desertification and its trends over time, and participating to the last 2 Conferences of the parties of the UNCCD. In 2004, ESA launched a satellite-based information service called DesertWatch to work with three of the European countries most affected by desertification – Italy, Portugal and Turkey. In addition to helping national and regional authorities to assess and monitor land degradation and desertification, DesertWatch also aims to support these authorities in reporting to the UNCCD. The European Space Agency will be present at the next UNCCD COP-8 with a side event entitled "Earth Observation Technology to support the UNCCD: the DesertWatch project". The side event will take place on September 6th. This side event with be organised jointly with the Portuguese, Italian and Turkish delegations to the COP. The achievements of the DesertWatch project will also be presented to the UNCCD Committee on Science and Technology (CST) at the COP-8.